When was the last time you had a meal in your formal dining room or formal living room? These rooms are relics of a past time and lifestyle. The houses of today need to be designed with open plans that have less rooms and lend themselves to a more casual lifestyle. Floor plans that are loft like, with kitchens being the entertainment central and eating areas that are casual, yet big enough for a family Thanksgiving celebration. Today’s houses need to live like you live. If your lifestyle is less formal, demand that from your new home builder so that you can begin to enjoy your entire house all the time, not just on certain holidays. 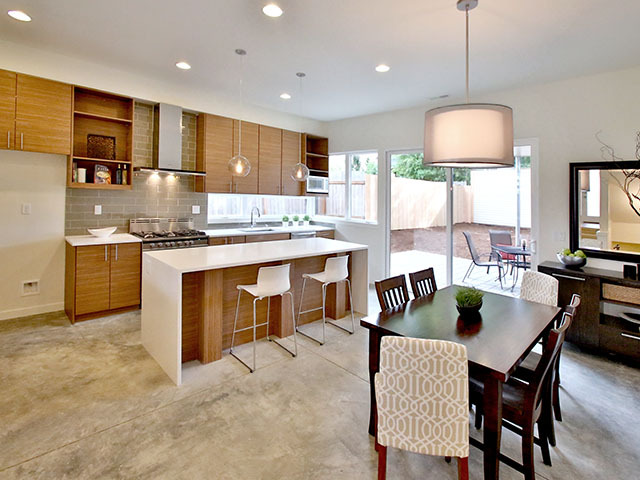 H. Hudson Homes is an infill developer and Portland home builder specializing in new modern homes with a focus on cutting-edge design and sustainability. They have the new features home buyers are looking for. Our new modern homes can be found in Portland, Bend, Lake Oswego, and many other areas around Oregon.